Keep your commercial swimming pool safe and compliant with a Safety Vacuum Release System from Halogen Supply. A safety vacuum release system (SVRS) is a system or a device that disables a pool pump’s suction ability so that a body or object trapped against the suction outlet is freed. It does this by inducting air to the pump and/or powering down the pump motor when it senses a sudden vacuum increase. An SVRS can be easily installed in any pool or spa. The SVRS must be installed in conjunction with an approved VGB drain cover per ASME/ANSI A112.19.8. Halogen Supply has all the Safety Vacuum Release Systems you would need to keep your commercial pool safe and compliant. 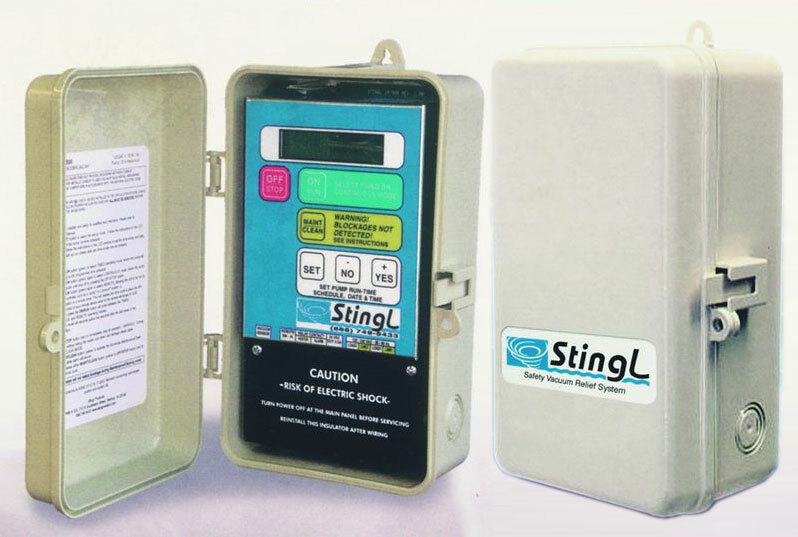 Choose from the Stingl Switch, Emotron Automatic Pump Shut-off, and the Vac-Alert Safety Vacuum Release Systems.